The DJC Oregon TopProjects of 2018 were recently released! DJC TopProjects is an annual awards program that honors the best building and construction projects in Oregon and SW Washington. Morrison Hershfield is grateful to local owners, architects and contractors who have trusted Morrison Hershfield’s Portland Building Science team to support them on a number of the winning projects that made the list! 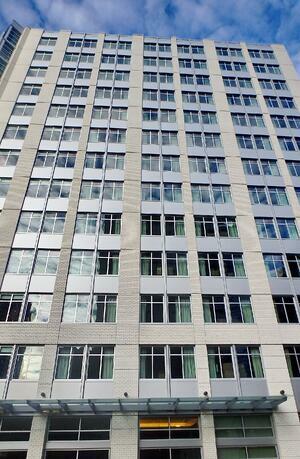 This new 13-story, 120,000 square foot hotel is clad with white masonry and metal panel. The AC by Marriott was designed to blend in with the historic Yamhill District, while providing modern amenities and easy access to Downtown. We worked with the Mortenson and SERA Architects Design-Build team to provide Building Envelope design and field review, and assisted with the performance testing of the glazing systems for the project. At 334,000 square feet on 47 acres, Mountainside now is now the largest comprehensive high school in the state of Oregon. This new complex serves 2,200 students, a population that is steadily growing. It provides traditional classrooms and academic spaces, as well as specialized areas for Career Technical Education programs. Working on behalf of the Beaverton School District with Hoffman Construction and Bora Architects, our team provided Building Envelope design review, as well as field review to ensure construction complied with project drawings and specifications, helping to deliver a project that met the District’s expectations. Originally constructed in 1915, Franklin High School has undergone a number of changes in its 103 year history. Franklin was remodeled in 1980, but after recent assessments was found to need significant upgrades and modernization to “reconfigure and update the facility with a focus on environmental quality, sustainability and historic preservation.” With this in mind, the project program called for 240,000 square feet of education space, 50% of remodeled space and 50% new construction. 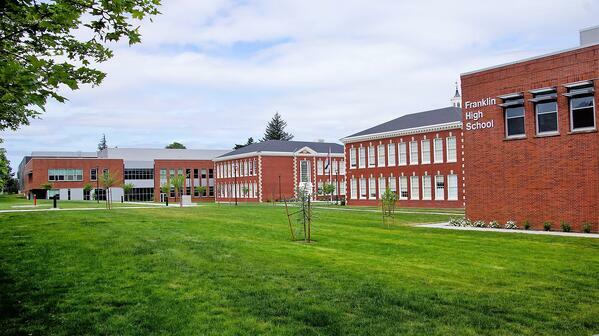 The result is a modernized Franklin High School, currently accommodating 1,700 students in Southeast Portland. Our team provided the initial condition assessment of the school prior to the modernization. Once the project moved into design, we were able to share our knowledge of the existing structure, providing Building Envelope design and construction review services to the CBRE/Heery + DOWA/IBI Group + SERA Architects + Skanska USA project team. Two more projects on which Morrison Hershfield played a supporting role received Honorable Mentions for the Energy Trust of Oregon High Performance Building Awards: the Faubion School + Concordia University integration project (Bora Architects + CBRE/Heery + Todd Construction) and Vose Elementary School (DLR Group + Triplett Wellman Contractors). We wish a warm congratulations to all of the winning projects, and to our partners! We are honored to have been part of your teams. 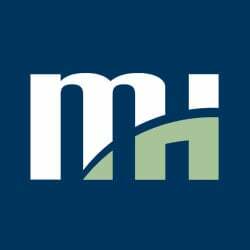 Morrison Hershfield is a market leading, employee-owned engineering firm committed to making a difference in our communities. We are anchored by exceptional technical expertise and high performing employees across North America. Our highly focused approach to the clients and markets we serve ensures that we deliver the value our clients demand.